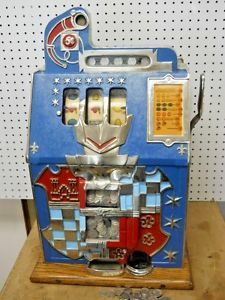 Mills 5 Cent Castle Front Mystery Bell Vintage Slot Machine LOOKS & WORKS GREAT! 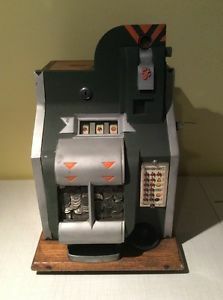 Home / Shop / Slot Machines / Mills 5 Cent Castle Front Mystery Bell Vintage Slot Machine LOOKS & WORKS GREAT! 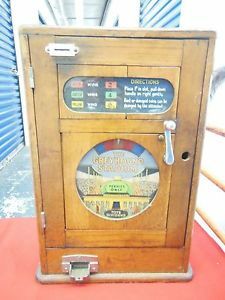 Enquiry about Mills 5 Cent Castle Front Mystery Bell Vintage Slot Machine LOOKS & WORKS GREAT! 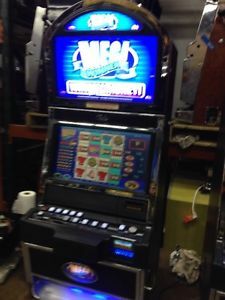 Beautiful vintage 1930’s Mills 5 cent slot machine has been lubricated and it plays and pays out as it should. 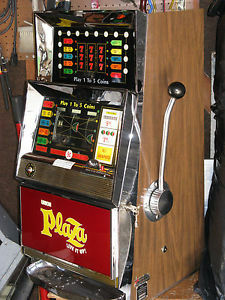 Reel strips are original. Decoration on front casting appears to be original as well. See closeup photos and decide for yourself. TERMS: No shipping on this item. Local pickup only. We are located in Northern Kentucky just 5 minutes off of Interstate 75 and less than a mile South of Cincinnati OH. PayPal MasterCard VISA Discover American Express or cash are our accepted methods of payment. 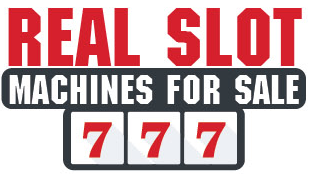 Payment is expected within 72 hours but pickup can be delayed if necessary. 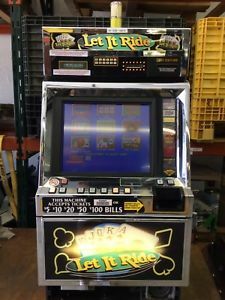 Due to laws regulating the sale of antique slot machines, I, as the seller, will not sell to members in the states of Alabama, Connecticut, Hawaii, Indiana, Nebraska, South Carolina and Tennessee. Buy it now transactions with buyers residing in these states will be considered void.